The Bureau of Labor Statistics (BLS) reports that there are three related industry positions that show exceptional promise - Software Development and IT, User Experience Design, Product Management and Project Management.UX designer becomes one of the most hottest creative industry careers nowadays with a total job amount of 3,426,000, and the job growth is 22.1% in 10 years. CNN shares some researches about UX designer’s salary: MedianPay is $95,000 and the top pay is up to $150,000. More information about UI/UX Designer Salary Around the World. Would you like to be one of the trend? How to get hired? What skills should you master? If you are a UX designer already, pass this part. If you are a new comer, check Beginner’s Guide: What Is An UX Designer to quickly get a basic understanding about it. Here, we are going to discuss the very first 2 steps- UX designer resume. First, Do you know the exact function of a resume? You want to get hired by your resume? That’s where you are wrong. The most key point of a resume is to get the hiring manager to call you, that is, to win you the chance into the next job hiring process - phone screening interview. Do I overstate the importance of a resume? Definitely not. The fact is pretty cruel. Resume rejection rate is pretty high which may up to 85%. shocked? Just try to accept it and be prepared. Your resume is to persuade the hiring manager you are the one who qualified to do their job in seconds. Keep this in your mind. What are the essential elements on a UX resume? 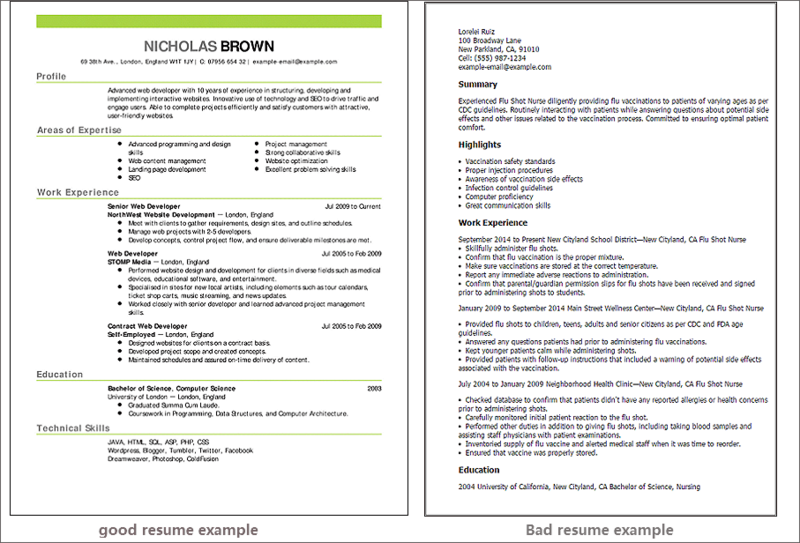 How to deign the resume to make it stand out from thousands competitors? A resume is like a test, you made a mistake, you get a negative score. Check out the following common mistakes of a UX designer resume and avoid them. Suggestions: check over again and again before you send out you resume. You’d better get one or two friends to read over your resume. They can find your tiny mistakes better than you. This is the main reason for HR to pass over your resume. Suggestions: check the recruitment information of your target position. Usually, they write a specific job description. Do not use one resume toward different firms, you’d better make adjustment according to their job description. The hiring manager don’t have a day. Keep concise and make the focal points stand out. Only the first page counts, if possible, keep your resume in one page. Send out the portfolios as attachment is not a good choice, the file is large and cost time to download, with a link on the resume to your online portfolio design website is better. In order to make it look more eye-friendly, adopt Hierarchy to keep the heading and the body in good check. 2. What are the essential elements on UX designer resume? What elements should be written on resume? duo to the personal difference, resumes may vary form person to person, but there are basic common elements you shouldn't miss out. Social media accounts: Portfolio sites like Dribble or Behance or you personal website is recommended; others like blog or medium are more of optional. By the way, many designers tend to design a resume personal website nowadays. Online personal website resume can be a good place to display designer’s work, portfolio, skills, design thought with personal style. Here I recommended the 25 best personal website design examples which including a part of resume personal website design for you inspiration. This is the most important part but also a more tricky one. Designers with experience and the beginners may adopt different methods. Usually, senior UX designers have rich experience with different design projects. There’s no need to hide your early projects. Suggestions: you may display them in reverse timeline. This can make the hiring manager quickly view your work experience and see your new projects more clear. Besides, do not just list your work experience. The key is to show what have you down and what is the result. You maybe a graduate or just changing your job from other career. Do not have related experience to UX design? Then what to do? Display your education and your degree. If you have a Dual Degree in Marketing and Design form a famous university is much better. List your internship in UX design field. Same rule: your role, what did you do and the result. How to get a user experience design internship fast? You’d better check and start with a good internship experience. Show your design work, with have a portfolio is better (if you have). Your experience of a UX class of online course or an institution, the key is to name the certificate you get. Display a list directly. The hiring managers don’t care how long have you been using a tool or how much you mastered it. List the skills relevant to your UX designer role, such as prototyping tool, wireframing, UX writing, usability testing, design research, sitemaps, user flows, information architecture, HTML and CSS, coding and so on. This is not a convincing proof for senior designer with like more than 5+ years of experience. As said before, it’s important to UX beginners. Suggestion: do not limit the education to only collage. The UX institutions can also be included. But you need to show what you get like the certificate. It’s a good proof of your design skills. Better be included. 3. How to design your UX designer resume to make it stand out from thousands competitors? If you just put together all the above elements, it's far away form an excellent UX design resume. You'd better design it. 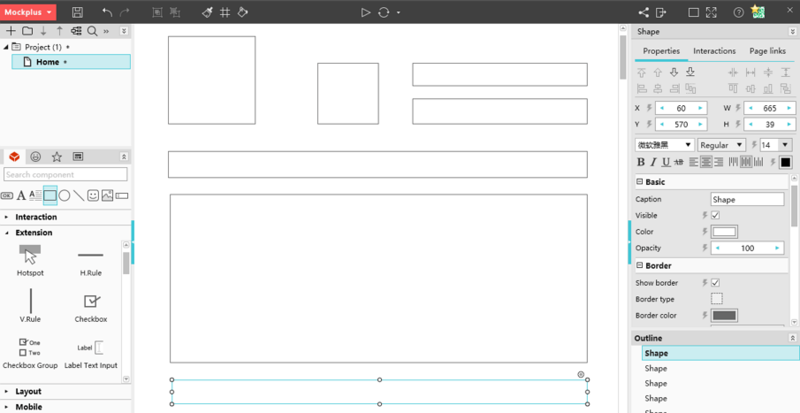 UI designers tend to use a vector tool to begin. But still many designer like using a prototyping tool as their start a project. You may choose Mockplus. It has 200 components and with single drag-and-drop you can arrange all elements effortlessly. 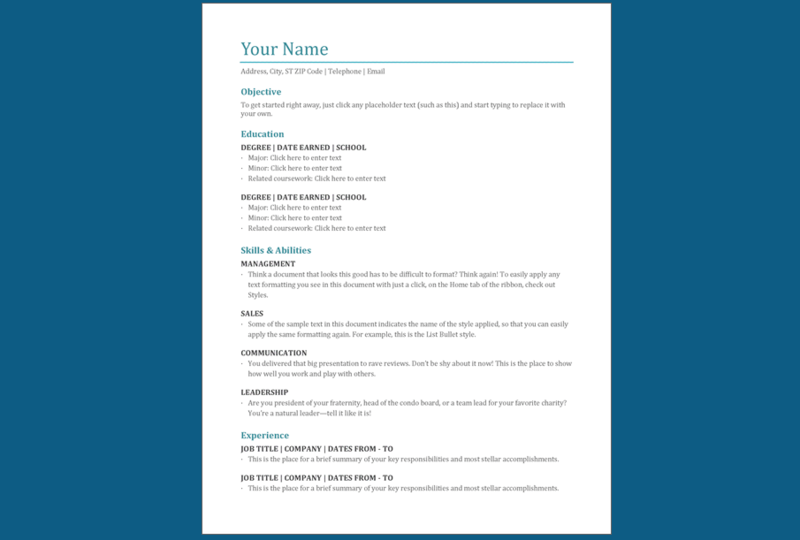 You can use the shape components, text component, image component and labels to quickly do a frame work of your resume. You can review it online or offline then to change it till your heart’s content. It supports Sketch Import and have many useful features. Keep it clean and simple. I prefer use less than 2 colors if you want to make it different form those that were made in shades of gray. Remain white space to ease hiring manager’s eye. Use a single typeface and make the key points in boldface or in italic. Do not use Times New Roman or Comic Sans. Also avoid script or fancy/illustrative fonts. Also, you need to notice the line length, contrast, hierarchy and more information about what is good typography towards excellent UI. The most important information should be your work experience. Keep this part in the center place and make sure hiring manager can read effortlessly. Don't just click to send out your resume once you've down a satisfied one, there are some details need to consider. PDF can remain the same format at different platforms.
" Your name + your objective + your biggest advantages "
The hiring manager may see your words, but they feel your attitude. An excellent UX designer resume is your first step to get hired by your beloved UX company. Hope the above tips towards how to make designer resume can give you some inspiration.